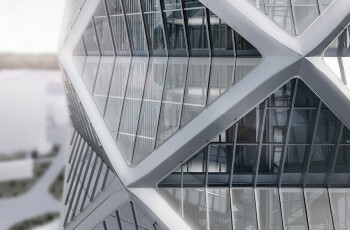 Mark P.Sarkisian (partner of Seismic and Structural Engineering at SOM - Skidmore, Owings and Merrill, San Francisco) will be giving a lecture about "Light|Structure|Emergence" introduced by Mitesh Dixit (chair editor). 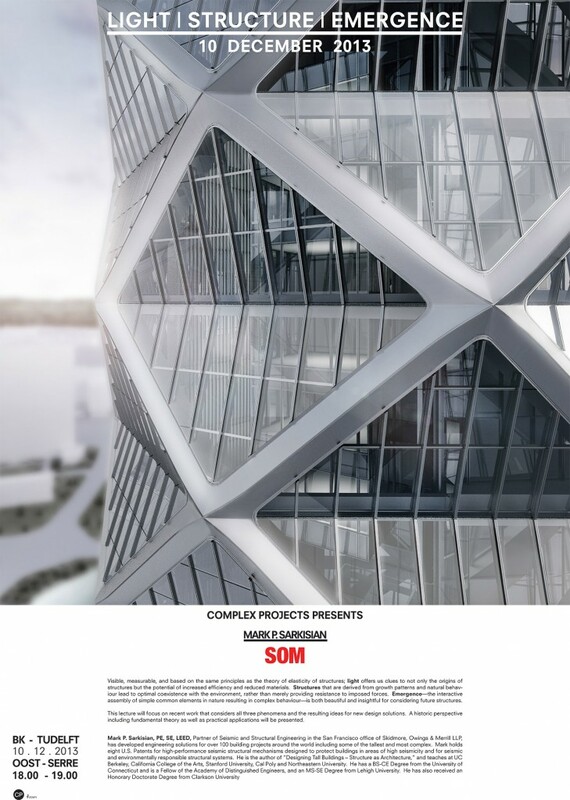 Mark P.Sarkisian (partner of Seismic and Structural Engineering at SOM – Skidmore, Owings and Merrill, San Francisco) will be giving a lecture about “Light|Structure|Emergence” introduced by Mitesh Dixit (chair editor). 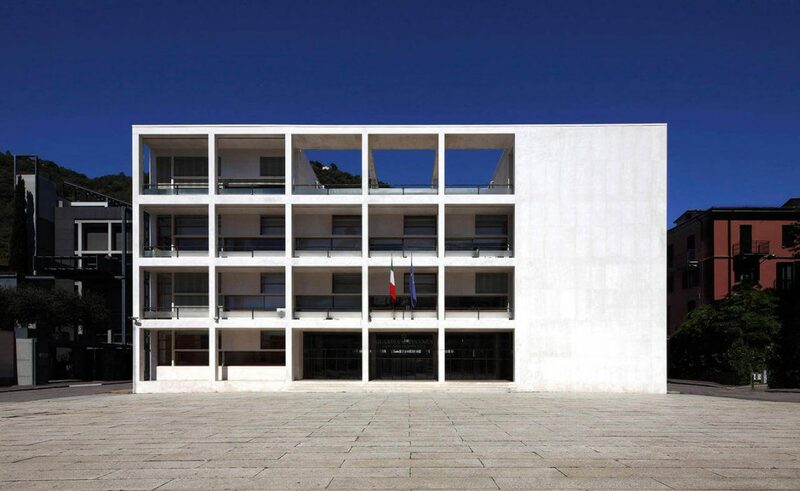 Lecture will take place from 6.00pm to 7.00pm at the Oost-Serre. 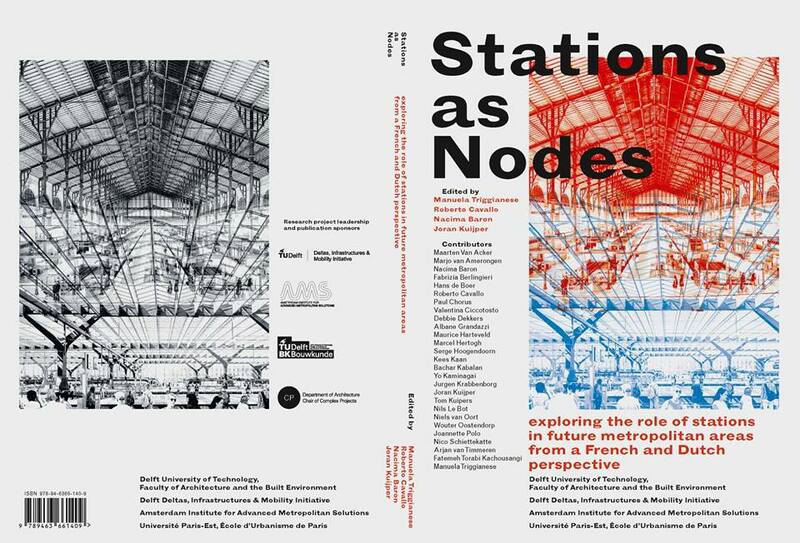 Led and coordinated by the Chair of Complex Projects, Faculty of Architecture and the Built Environment TU Delft and the Amsterdam Institute for Advanced Metropolitan Solutions, ‘Stations as Nodes’ explores the role of stations in future metropolitan areas from both French and Dutch perspective. 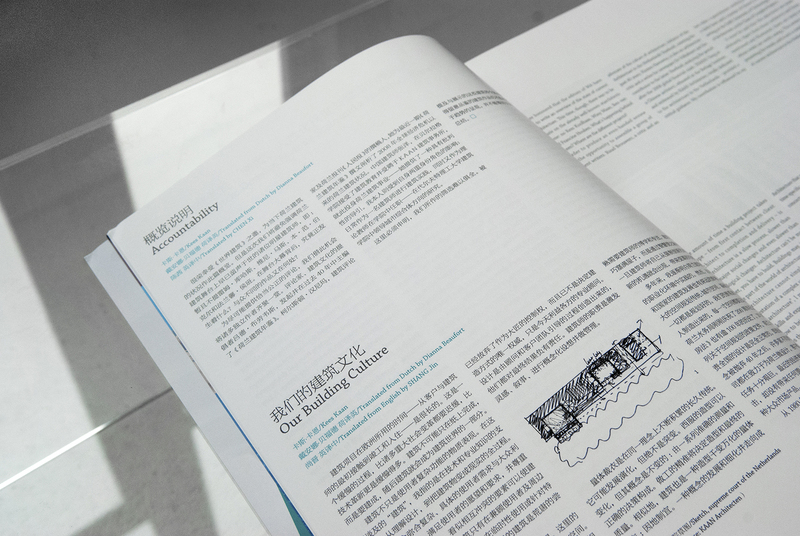 In order to present the exciting new currents of Dutch architecture, Chinese magazine World Architecture (WA) has invited Kees Kaan to curate the issue aptly titled ‘Non-Super Dutch’. 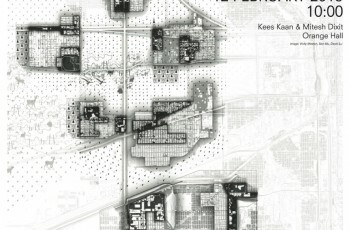 In his opening statement, Kees Kaan elaborates on the contemporary developments in Dutch building culture: “The Netherlands has an ideal culture for conventional architecture. The cultural consensus here leaves no room for the unbridled creativity of a genius. 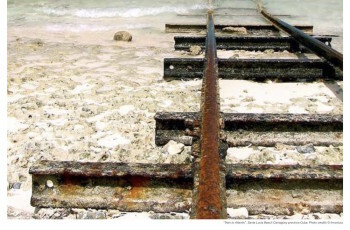 Property development has been regulated in such a way that all parties involved or tangential to the process have a right to voice their interests or concerns.” By default, this has influenced the role of the architect within that process, making it a role of inspiration, storytelling, conception and management. 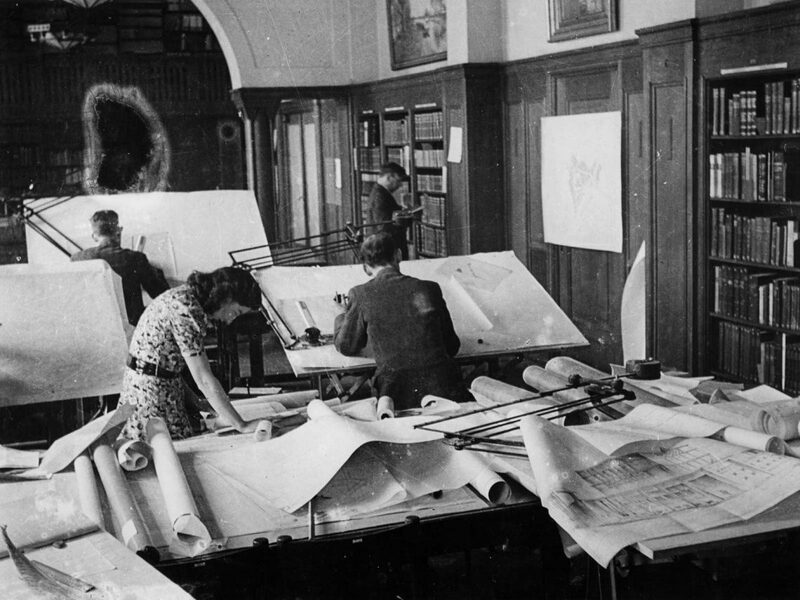 “Architects have relinquished control as master builders and are not the sole authority on how to build, but are now professional advisors in teams of interested parties,” says Kaan. 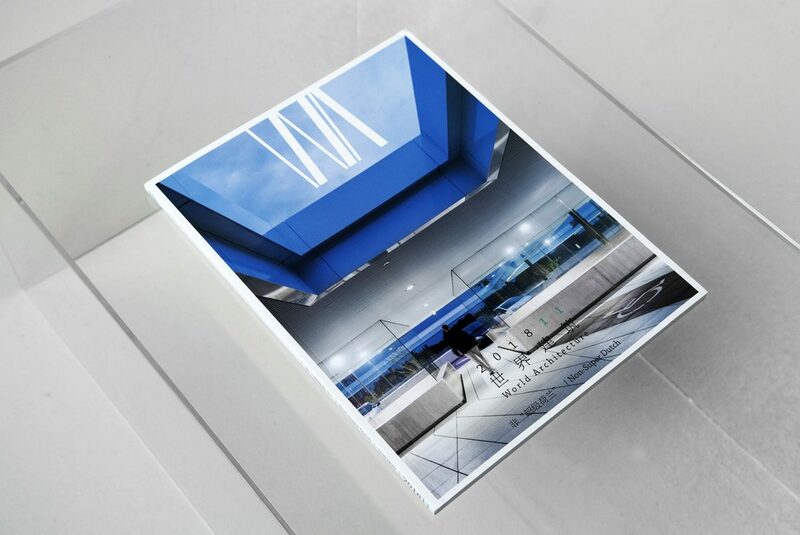 Along with Kaan, a group of independent writers – such as Ruud Brouwers, Kirsten Hannema and Yang Zhang, have contributed to revising the iconic, yet outdated notion of ‘Super Dutch’. 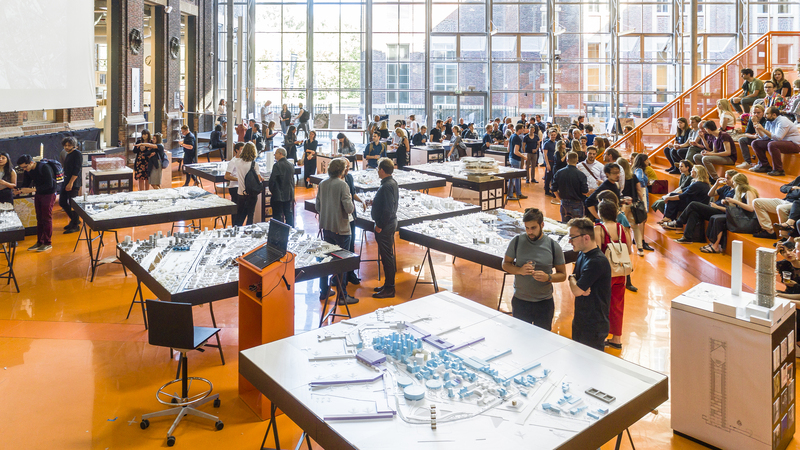 Moreover, the issue includes a project selection which is completely arbitrary, in order to showcase a diverse range programs and typologies in recent architectural production. Read the full opening statement here. 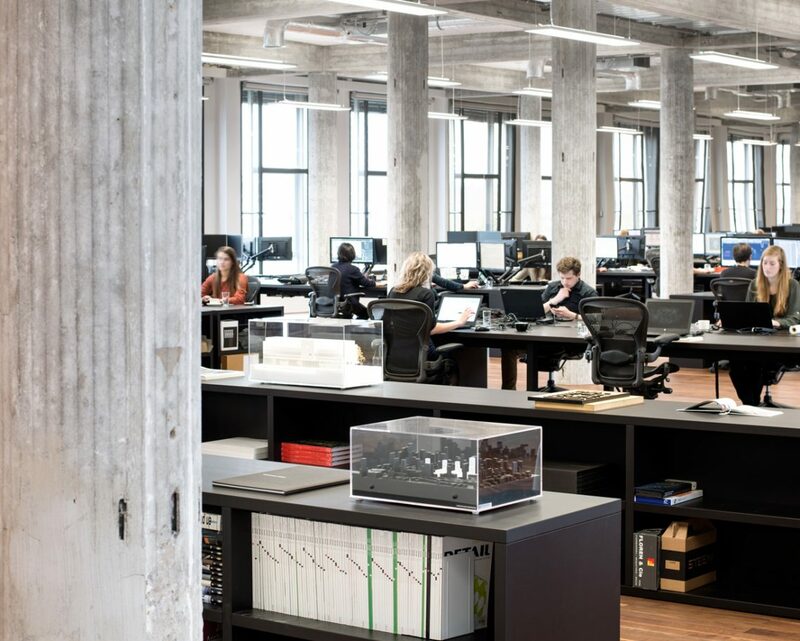 ‘Young people with fresh new ideas are the lifeblood of our office’ claims KAAN Architecten founding partner Dikkie Scipio in her latest interview for the Fleur Groenendijk Foundation where she serves as a board member. Right at the heels of announcing the new De Meester winner for 2018, this rings true more than ever. 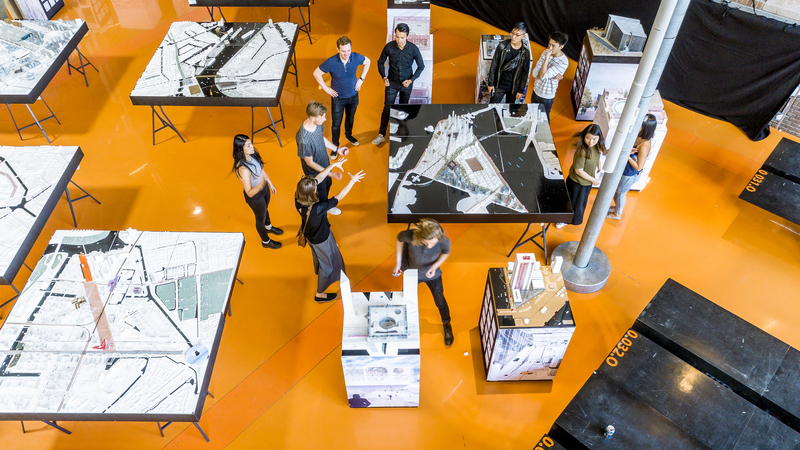 Graduating with top marks aside, the success of every young architect relies heavily on being recognized and embraced by potential customers or employers, explains Scipio. 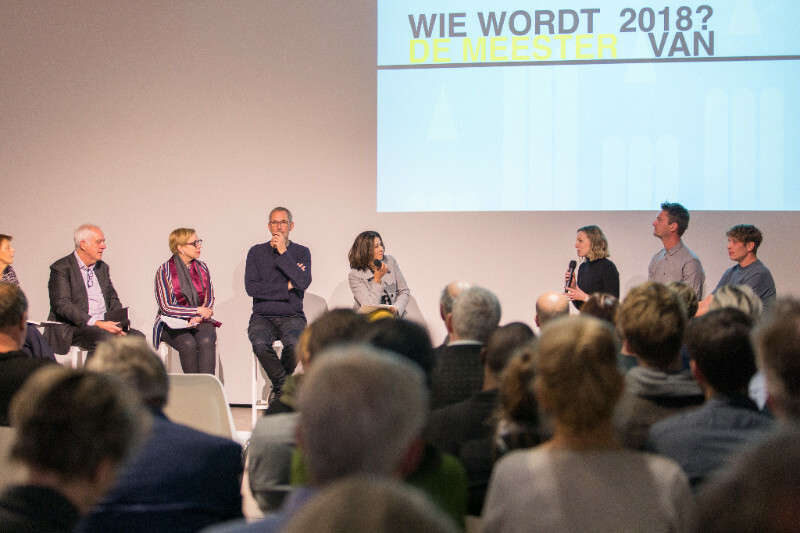 This is why De Meester award was created – to give young graduates a platform to present themselves to larger audiences and make a debut within the professional sphere. Along with a jury of industry professionals, she seeks to highlight the work of recent graduates that shows social and contextual relevance, craftsmanship, and a clear vision. 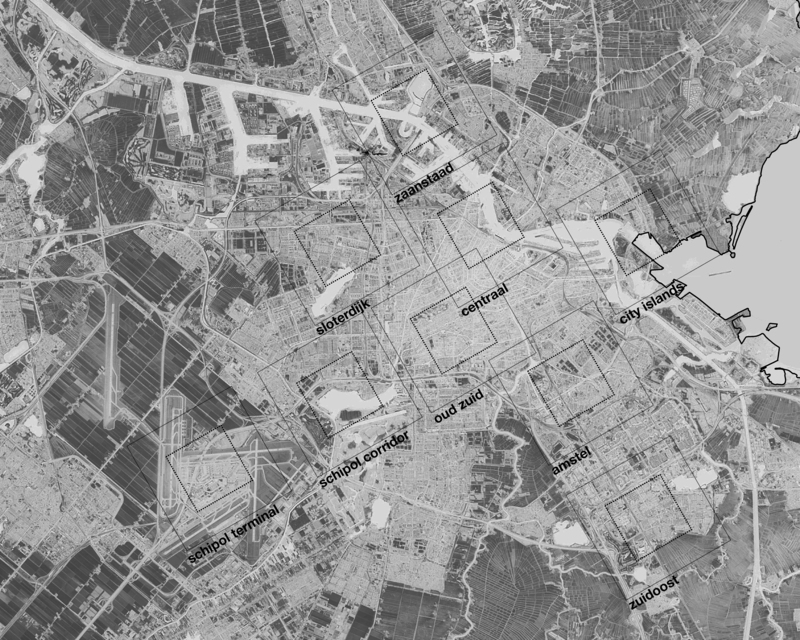 This Thursday, 13 December, Kees Kaan will participate in the lecture series ‘Making Architecture’ at TU Eindhoven together with Jeroen van Schooten (Team V Architectuur). 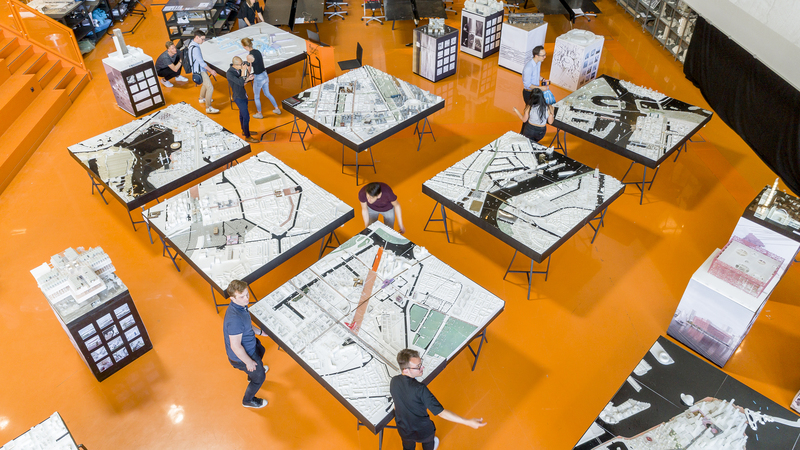 In a double lecture format, the speakers will elaborate on a number of projects that show how the process of making – from concept to building, unfolds within their offices. 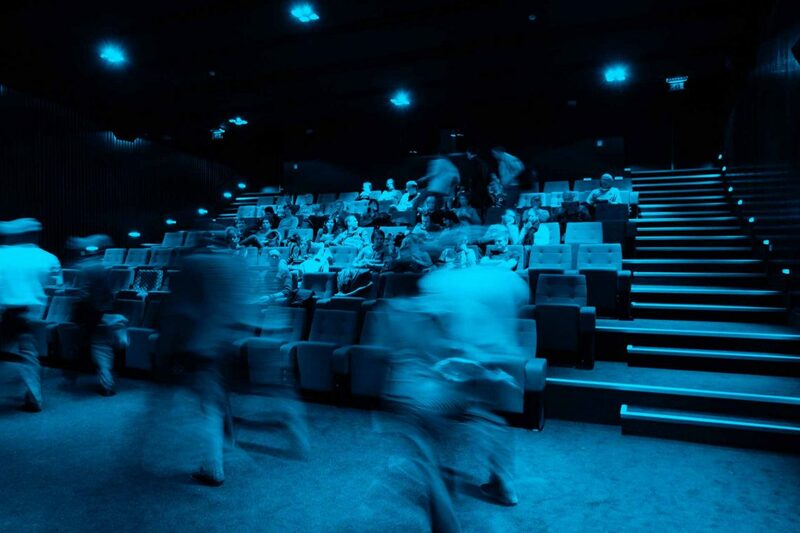 The event will take place in the Filmzaal of the Zwarte Doos at the TU Eindhoven at 19.30. 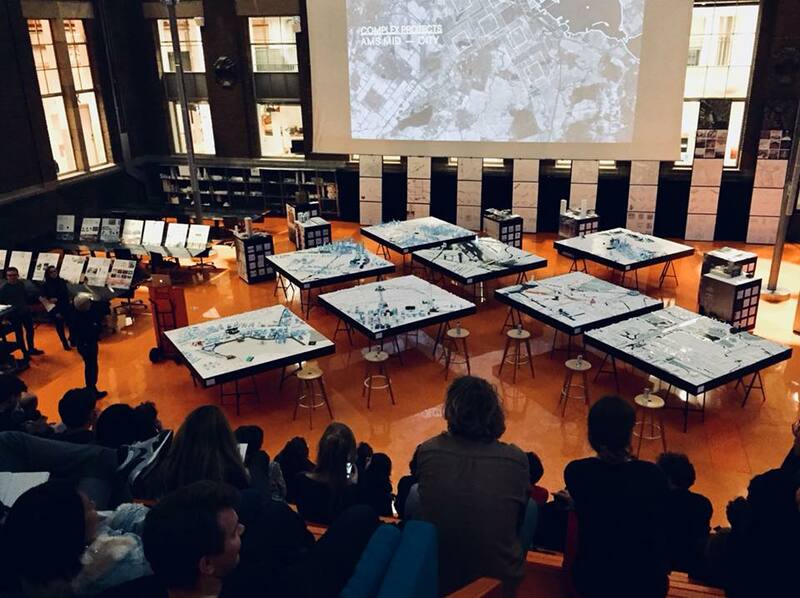 The lecture series is organized by AnArchi, Study Association for Architecture, and Juliette Bekkering of The Chair of Architectural Design and Engineering (ADE) at the TU Eindhoven. Find out more here. 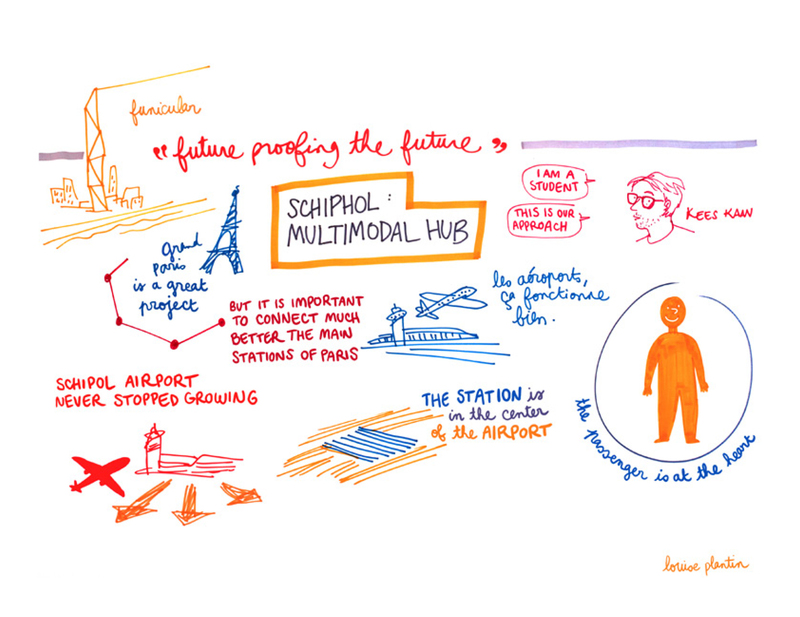 Dikkie Scipio’s new quarterly column for Fleur Groenendijk foundation has been published. In her latest column written as a board member of Fleur Groenendijk Foundation, Dikkie Scipio reflects on the implicit advantages for societies and economies that occur during troubling times. The essay elaborates on how unexpected debates and initiatives develop when different actors are brought together by extraordinary circumstances. At the same time, it also advocates keeping up that positive momentum even after the times of crisis have passed, in order to keep benefiting the larger community. 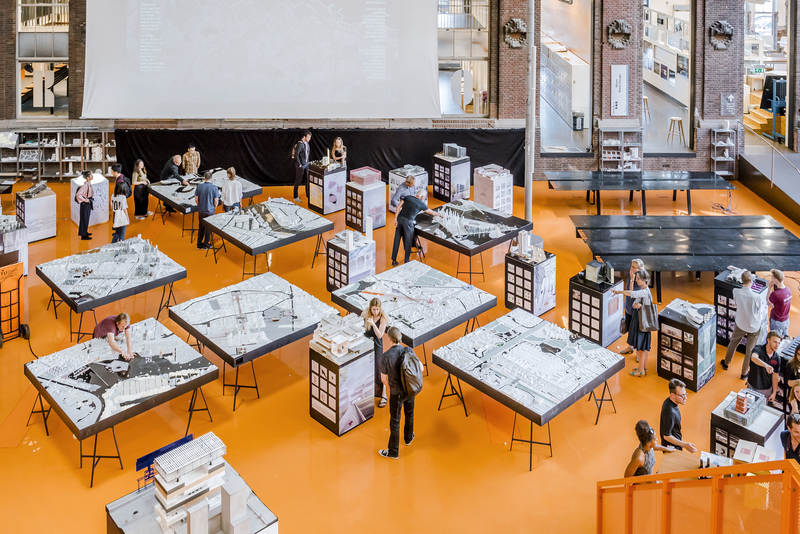 Continuing the collaboration with Amsterdam Institute for Advanced Metropolitan Solutions, Kees Kaan will participate as a member of the Scientific Committee and a guest critic at the AMS/TU Delft Summer School 2018. 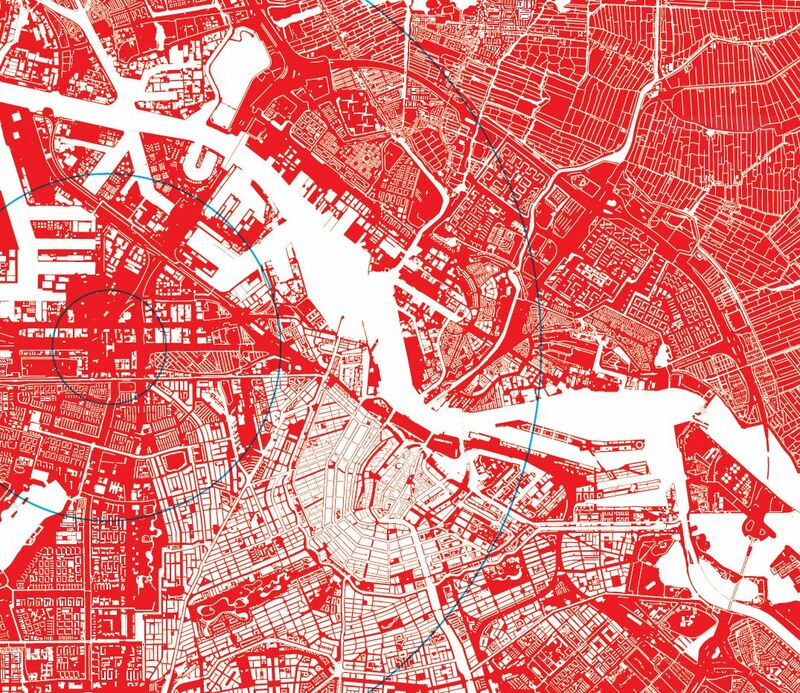 Amsterdam AMS Institute, Delft Deltas, Infrastructures & Mobility Initiative (DIMI), the University of Paris-Est and ARENA Architectural Research Network together with Delft University of Technology are organizing the interdisciplinary 2018 Summer School: Integrated Mobility Challenges in Future Metropolitan Areas. 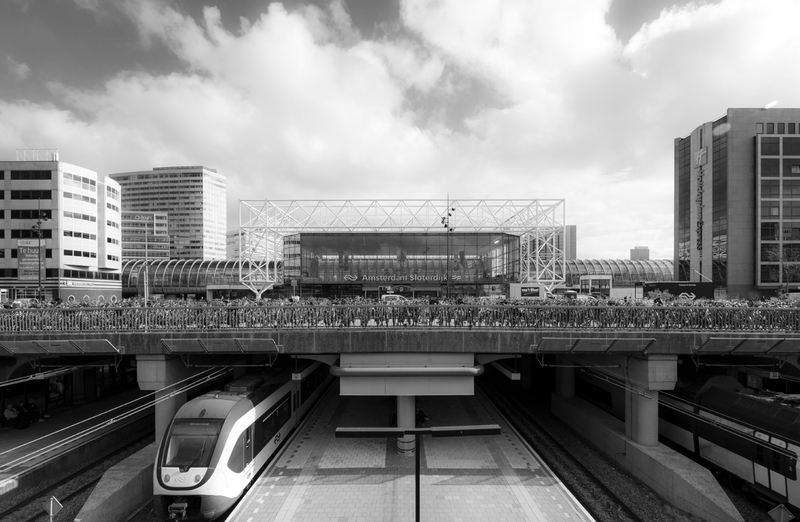 The workshop will use Amsterdam Sloterdijk station area as a case study, focusing on testing various sustainable approaches and strategies for dealing with a lack of space and growing number of users. Throughout the 7 day workshop (21-28 August) students, young professionals and researchers will be guided by an expert team of lecturers, guest critics and teachers. 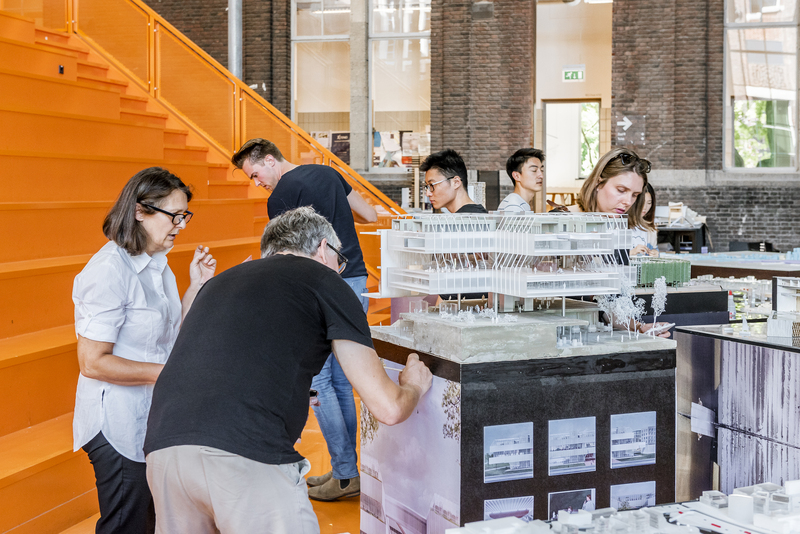 The Chair of Complex Projects together with the AMS Institute oversees coordinating and leading the Summer School, while Kees Kaan as the Head of the Chair, is a member of the Scientific Committee and a guest critic. More information on the Summer School can be found here. 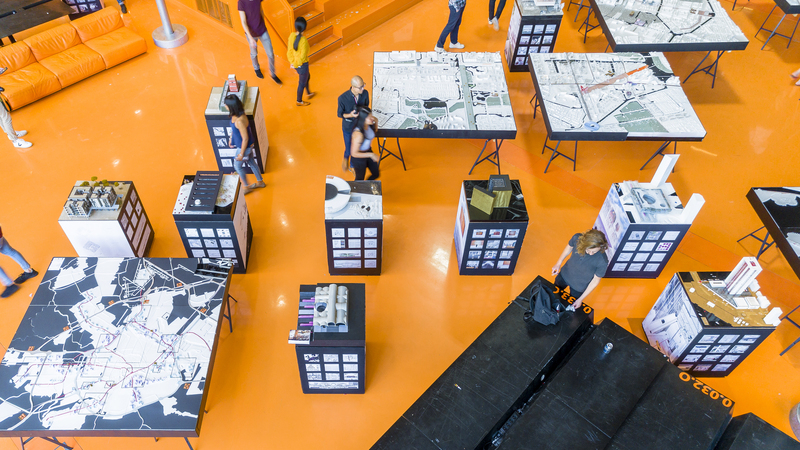 On Thursday February 15th, 2018 the work of AMS MID CITY studio will be exhibited inside the Orange Hall of the Faculty of Architecture of TU Delft. 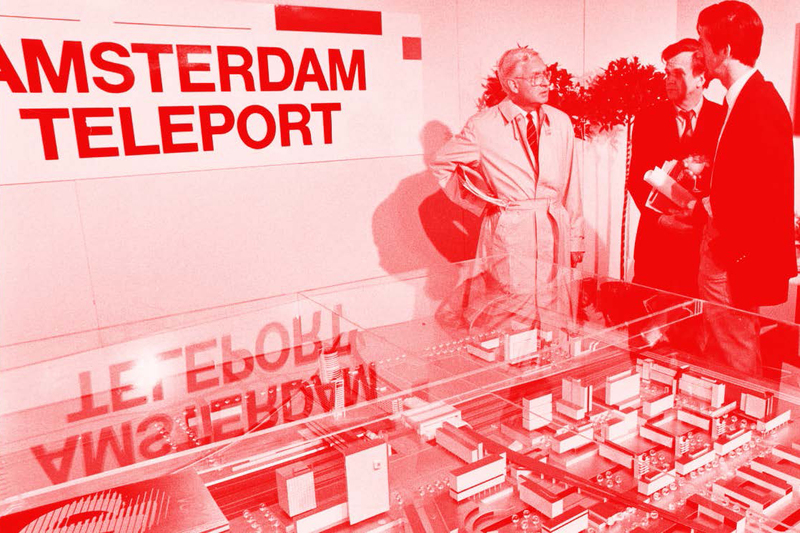 Prof. Kees Kaan will open the exhibition with the participation of several guests from the City of Amsterdam. 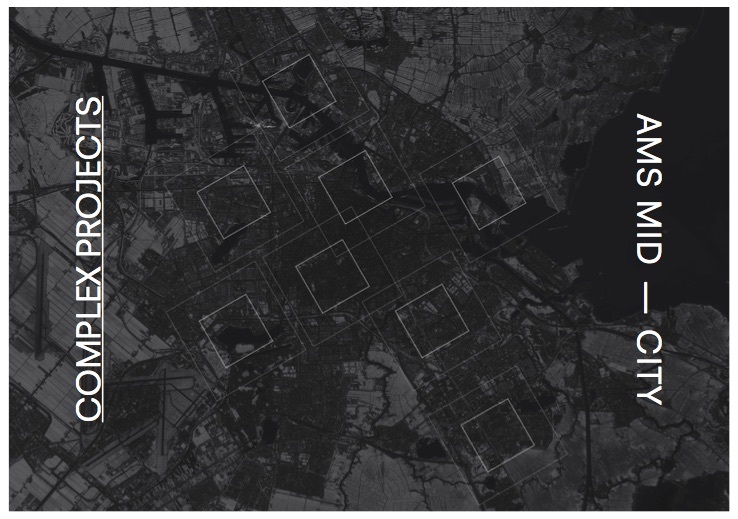 Pieter Klomp (Deputy Director of Spatial Planning and Sustainability department) will give a keynote lecture on the current ambitions of the City. 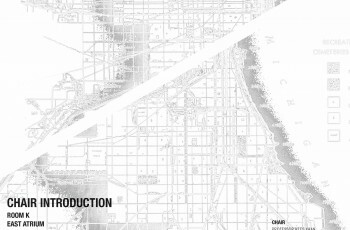 AMS MID CITY is the graduation studio of the Architectural Design Chair of Complex Projects (CP). 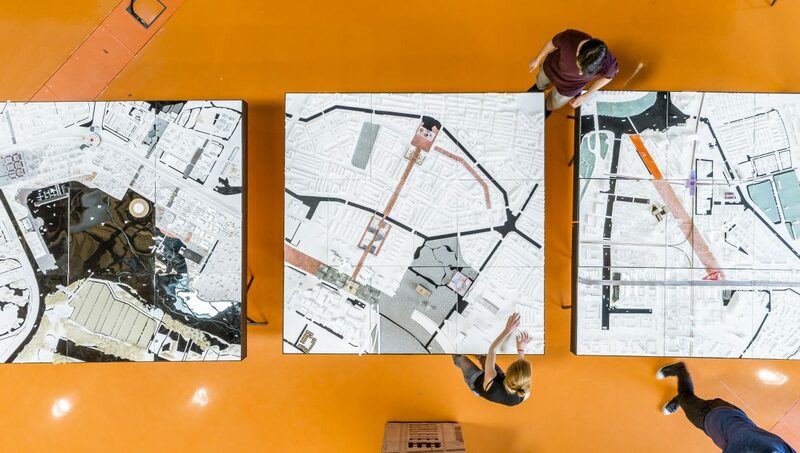 The research-by-design is part of the AMS (Amsterdam Institute for Advanced Metropolitan Solutions) project “Amsterdam: Urban makeover 2050” coordinated by Kees Kaan (chair professor and principal investigator at AMS), Manuela Triggianese (CP-AMS research project coordinator) and Hrvoje Smidihen (studio coordinator).